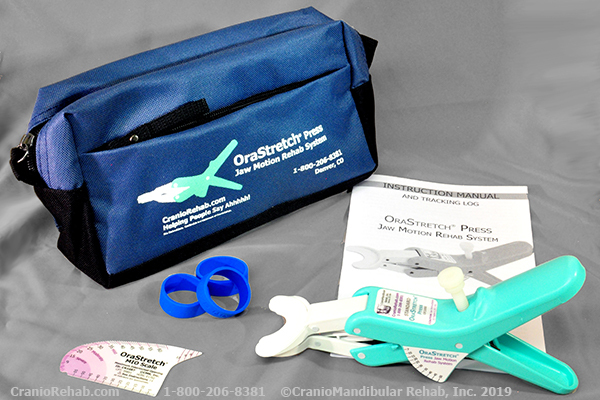 OraStretch Press Jaw Motion Rehab System to stretch the jaw open and treat limited oral opening, trismus, TMJ, TMJD, and joint dysfunction. Pediatric Version for users generally under-ten y.o.. (31mm across). 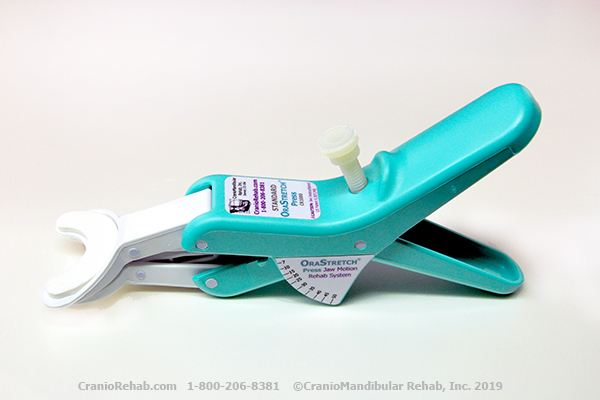 The OraStretch Press Rehab System is a hand operated device that provides easy home therapy and stretching for limited jaw opening, trismus, and dysfunction. 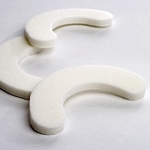 The OraStretch press successfully prevents and treats trismus from cancer, trauma, TMJD, facial burns, and stroke. The OraStretch press retails for $498.00, however your actual cost can vary widely based on insurance coverage, deductibles, coinsurance, and other issues. We do provide Medicare and insurance billing for the OraStretch press. We also have discounts for no-coverage, Medicaid, and more. Please call us for more information about pricing and ordering. Service Offers: See the details for the free size exchanges, and product warranty on our Offers and Details page. I want to let you know that I saw my patient today, and he has increased his jaw ROM 10 mm since he got his OrasStretch press! He is very pleased with his progress and with the device, and I really appreciate you making that available to him. Thank you!" "The OraStretch press has increased my opening by over 30%. I'm still working to stretch to get some dental work done, but I'm very pleased with it." "Psoriasis and Psoriatic Arthritis (PsA) also froze my jaw! It got so bad I could not open my mouth more than a quarter inch. I was desperate for help. After tons of research I was able to find this "Miracle" device, the OraStretch Press Jaw Motion Rehab System ! My doctor wrote me a prescription for the device and I sent it to these folks. They got my insurance to cover it! I began using it and within two weeks I had nearly full range of motion back in my jaw! To date my jaw works very well and opens fully with no pain! The folks at this company have called me several times just to follow up. Wonderful customer service. I just can't say enough good things about these folks!"